In 1900 Silvio Scandalli started to produce accordions with the help of his family. In a few years, between 1915 and 1921, out of a small workshop in Camerano a small company was created which was to become an industrial force, which in 1941 employed over 700 workers. After the end of the Second World War, the accordion became hugely popular in the USA and the factory of the Scandalli brothers was amongst the most well-known and prestigious. 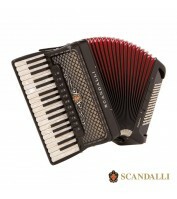 Thanks to the genius of Silvio and his many inventions and patents which were applied to his accordions, the Scandalli brand became synonymous with quality and a bench mark for other instruments. In 1946 to meet the challenges and opportunities of new markets, F.lli Scandalli of Camerano and Settimio Soprani of Castelfidardo combined to form Farfisa (from Fabbriche Riunite di Fisarmoniche). 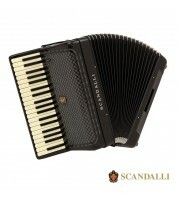 This company in turn was to become one of the worlds’ biggest musical instrument factories and at that time produced 180 accordions a day. 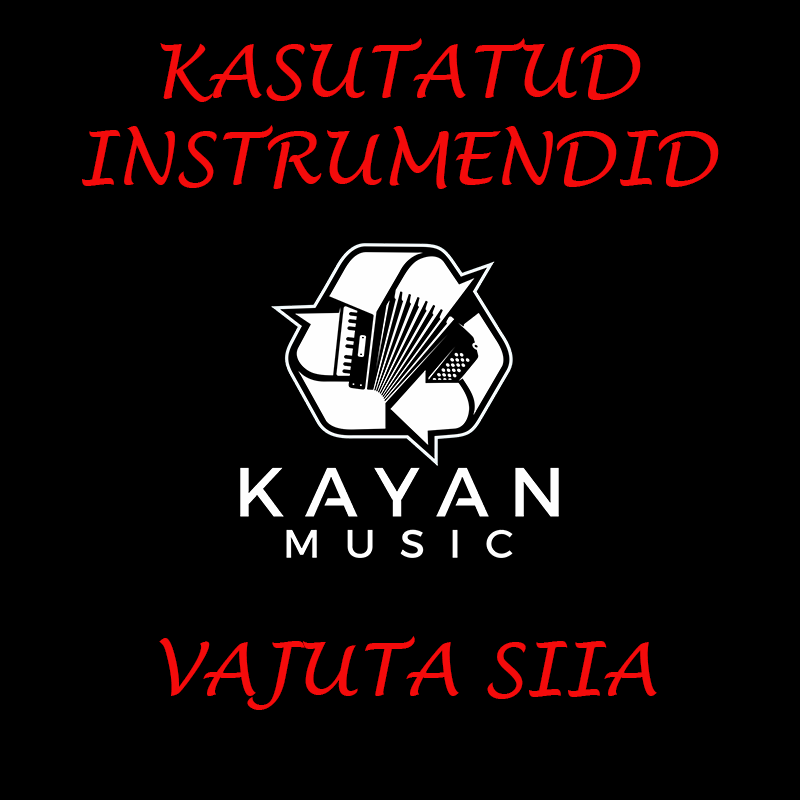 The impetus of this new company led to the formation of the CDMI (Centro Didattico Musicale Italiano) and many famous composers wrote pieces for the accordion and teaching methods for the Edizioni Musicali Farfisa. The music magazine “Fisarmonica” was founded that today has become “Strumenti&Musica”. During the early 1950’s Silvio Scandalli commenced an ambitious project. 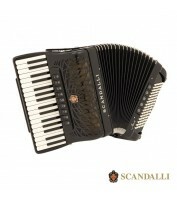 Using the company’s finest technicians he created an instrument of unparalleled quality which in a short space of time became the dream of all great accordionists: the Scandalli SUPER VI. 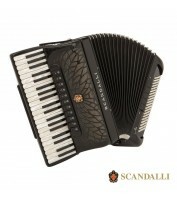 Even today it remains unsurpassed, an instrument born from the passion of an innovative artisan. In 1964 a new factory at Aspio Terme was added to those of Camerano and Castelfidardo for a total of 42.000 square meters of production capacity. At this time Silvio Scandalli and Settimio Soprani were heads of a company that produced and distributed guitars, pianos, organs and amplifiers, as well as accordions. In 1984 Farfisa ceased to exist as a multi-product company and began to divide itself into the various product sectors. 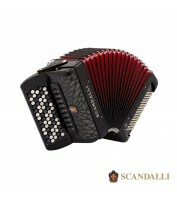 The Scandalli brand, under the direction of Mirco Patarini, Leonardo Menghini and Luciano Menghini, returned to stand for accordions only. 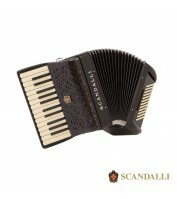 The Scandalli brand is an icon for many because of its long, distinguished history of innovation, prestige and quality. 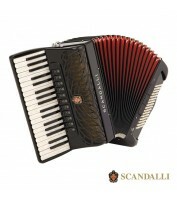 Today the mission of Scandalli Accordions srl remains the same as it always was: to provide instruments of the highest standard and uncompromising quality.